Usually, POEditor users upload and download localization files to/from their localization projects with the Import and Export buttons, in the user interface. 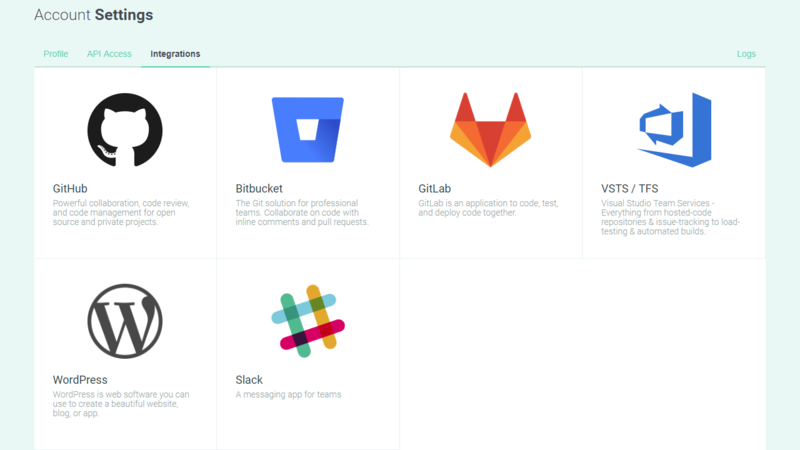 But, if you use GitHub, Bitbucket, GitLab or VSTS, you can do things faster. Just link the localization files in your repos to languages in your localization project. For WordPress users, we have a WordPress plugin. It lets you connect the language files in your WordPress instance to the languages in your POEditor projects, to speed up the import and export of strings. If you wish to manage everything from your end without any third party service, the localization API is for you. For translation automation, one very popular feature is the Translation Memory. The TM memorizes your translations (i.e. translations made by you, or by your translators), and allows you to use them again in your current and future localization projects. You can even delete them from the localization project, they won’t be lost. To further speed up the translation process, there are a couple of options. If you don’t have your own translators and need high quality human translation, you can order translations from one of our partners providing professional human translation services, directly from your POEditor account. When high quality translation is not a must, there is the Automatic Translation feature, which uses machine translation provided by Google or Bing to instantly translate strings. You can monitor the activity in your localization project and measure the translation progress easily, with the dedicated section for translation stats. Here, you have reports by languages and reports by contributors for specific time frames. Also, you can check valuable information like string, character and word counts, which is vital to all localization managers when it’s time to reward translators for their efforts. Other useful localization monitoring features are POEditor’s Realtime Translation System and our Slack integration. The Realtime Translation System shows project owners and administrators who else is connected to the project. It also shows when these users add or delete translations in the project languages. The Slack integration notifies the project owner (and others, optionally) about important events in the localization project. For example, you will see when a language is added/deleted/completely translated or when strings are imported to the project. As you can see, there are plenty of automation features to choose from when localizing software with POEditor. Most of them come with some degree of flexibility, making them suitable for localization projects of all shapes and sizes. Explore them to see how they fit your needs and let us know if you have any questions or suggestions.